Redeemer is a top-down punch-and-shoot from Sobaka Studio and Gambitious Digital Entertainment. With rudimentary stealth options, a variety of weapons, and fast paced combat, Redeemer feels much like Hotline Miami without the one-shot kills. There’s a lot to like here but also a few hang-ups that could be addressed in future patches. The game follows the story of Vasily, “an elite operative who once worked for one of the biggest Cybernetic Weapons Manufacturers in the world.” After years of violence, Vasily retreats to a monastery to forsake his past life. In true 80’s action movie fashion, Vasily’s past comes back on him and he must murder his way through the opposition to protect his new home and family. 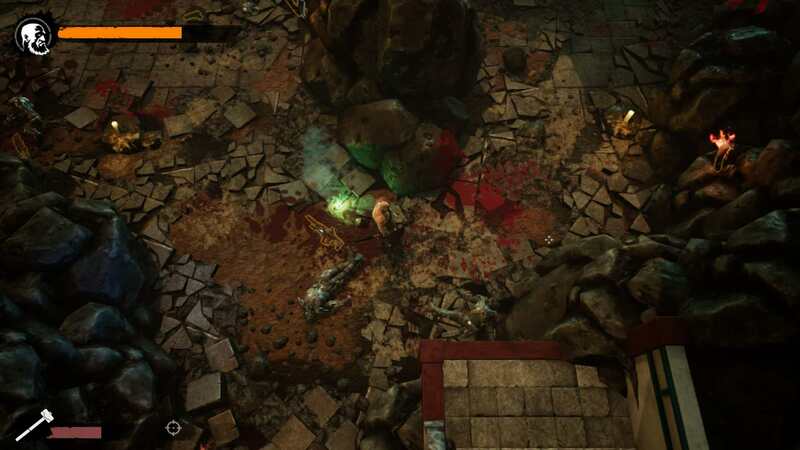 The combat system utilizes a punch, a kick, a dodge, a block, and fatalities. In my play time I never really discovered if there was much of a difference between punching and kicking and found myself sticking to one or the other out of habit more than anything else. The block timing can be tricky, I found it easier with a keyboard than I did with a controller, but directional attacks and dodges were definitely better with a controller. When shooting the game’s controls become akin to a twin-stick shooter and they worked well on both control types. The fatality system is fairly basic. You can instant kill a weakened enemy, instant kill an enemy of any strength using an environmental fatality, or instant kill an enemy who you are behind and has not detected you. The fatality variety was enough to not get boring, and different weapons provide different fatality types. 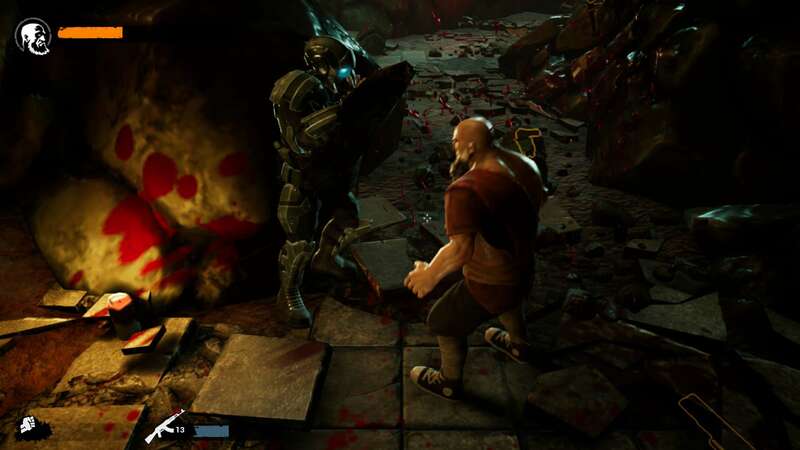 The game rewards aggression as you regain health from killing foes. The polygonal graphics are serviceable, though I noticed fog effects in the first level caused my mid-range PC to lose frames. Enemies are animated well, blood sprays in a satisfying way, and the environments look good, though the textures look fairly dated. I did find a bit of clipping near walls, but that’s a small gripe. The music and sound effects did their job but nothing stood out to me. The impacts are as meaty as you’d expect, the gun were loud, and fatalities had a good amount of squish to them. There’s no leveling or customization here, just pretty straight-forward action fare. No multiplayer. The game is tough, even on it’s easier mode, and it has an arena mode for truly mindless violence. At a price point of under $15 it might be worth it if you were looking for something arcadey, though I personally don’t see myself putting much more into it.